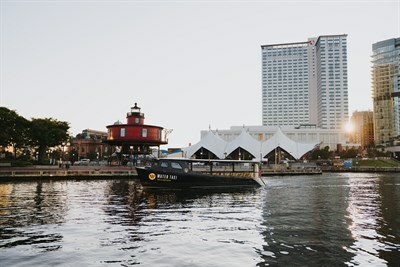 More than 40 years, the Baltimore Water Taxi has proven itself to be an integral part of the city’s history and culture. Mon-Thur, 10am-11pm; Fri-Sat, 10am-12M; Sun, 10am-9pm. Call for winter schedule. Great way to get around downtown! Easy on/off around the harbor and more! Cheap/easy way to get around and see the sites along the water. Inner harbor/harbor east/canton/fells pt/ft mchenry and more. Great way to get around! Fast and on time. The are accommodating and assist parents with young children. A fast way to see the inner harbor when on a tight schedule. This is a good way to get around the harbor. If you are in good health, you can walk it. You need the internet to catch it. Tickets are sold online.